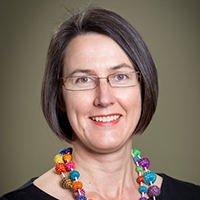 Dr Jennifer Beard is currently involved in individual research on the public aspects of charity law over time, political advocacy of charities and the role of the not-for-profit sector in law and development. Her collaborations include research on Ethiopian charity law and the links between English charity law, imperialism, international law and religion. In all her research, Jennifer focuses on the relationship between public and private power, law and society and law, imperialism and development. She is particularly interested in theories of the State, political authority, and the role of law in the exercise of political power. Her publications include, a textbook co-edited with Professor Andrew Mitchell, International Law: In Principle (Thomson, 2009) and a monograph The Political Economy of Desire: International Law, Development and the Nation State (Cavendish-Routledge, 2007). Jennifer has been a visiting fellow at the University of Otago Law Faculty; the University of British Columbia Law School; the Department of International Law and Human Rights at the United Nations University for Peace in Costa Rica; and the University of Lund Law School. Jennifer took leave from the academy for five years when she was a member of the Migration Review Tribunal and the Refugee Review Tribunal from 2009 to 2014.